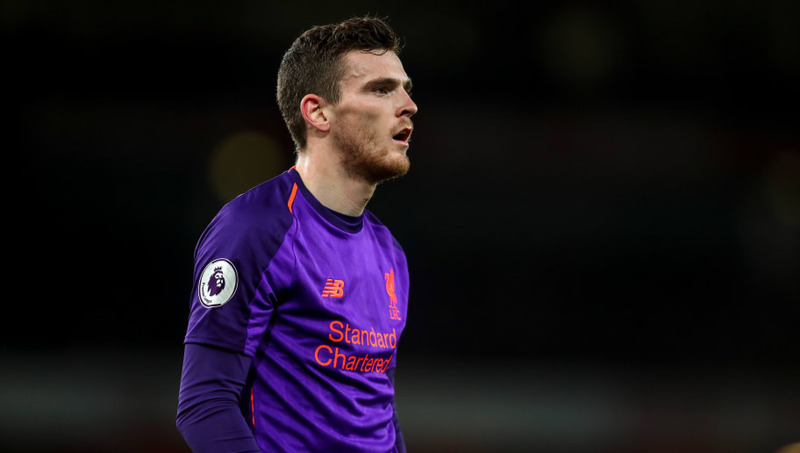 ​Liverpool left-back Andrew Robertson has admitted that the Reds might have lost some of their 'spark' in recent performances, particularly in Champions League away games after a second defeat in as many outings against Red Star Belgrade earlier this week. Liverpool lost 2-0 in Serbia on Tuesday, having also been beaten by Napoli in Italy the last time they travelled in Europe. And, in all competitions, Jugen Klopp's team is currently on a run that has seen them win only three of their last nine games. "I think it's one of those periods we need to get through," Robertson is quoted as saying by the Liverpool Echo in the wake of the trip to Belgrade. deserved what we got, even though it was so late on. Against Red Star it was the exact same. "We had chances to go in front. Studge (Daniel Sturridge) had a good chance and if that went in it could have been a good night, but we're sitting here talking about a defeat unfortunately." Liverpool have scored one goal or fewer in three of their last four Premier League games. Chelsea, Manchester City and Arsenal have been the opposition in those tough games, but the Reds had little troubling finding the net against the latter pair last season. "Last season everyone was used to us scoring four or five goals. That can't be possible every single game. At times we've dug out results, in the Premier League more so this season. Maybe it's not been as good to look at but we've been effective at it," Robertson explained. "But yeah, maybe we are missing a bit of a spark in terms of not winning 4-0 or 5-0. If the manager thinks that then we need to try and get it back. We need to come together as a team and try to get the spark and try to win games more comfortably."